Our team at Arcadia Gardens, LLC designs, installs and maintains award winning landscapes and gardens for homeowners and businesses in Southwestern Michigan. Apex Landscape is a progressive landscape design and construction firm located in Grand Rapids, Michigan. We specialize in designing and installing truly exceptional and sustainable outdoor living spaces. Our commitment to evaluating environments, attention to detail, and understanding our clients has helped us develop a reputation for providing unparalleled results in landscape design, craftsmanship, and service. Apex Landscape cares about every detail in order to provide the very best in service and craftsmanship. We use only the finest quality materials and fixtures. Our process ensures that you will receive more than just great landscaping; you will receive a truly exceptional and sustainable outdoor living space that will stand the test of time. From traditional to modern design, our landscaping creations promise a balance between functionality and elegance. We are Landscape & Garden Designers with Award-winning work in over 35 years of experience. Serving all zones 3-7. No matter how small or large your project is, we can provide you with Professional Landscape Plans for a beautiful environment you will be proud of. If you want extraordinary surroundings that set you apart, contact us to schedule a meeting to survey and maximize your site's potential. Whether you are a d.i.y. 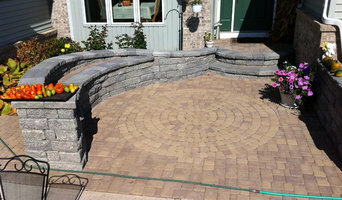 person or want a professional installation, you get our best every time with a landscape designed specifically for you. We make design choices based on the best horticultural practices, practical needs, and accepted design principles, combining the latest additions to the palette along with the tried and true. The result is an awesome experience for your outdoor enjoyment. RootBound, Inc. is a custom landscape design firm. Our mission is to connect clients with their sense of place by working honestly and effectively as a team creating practical design solutions and providing them experiences in beautiful spaces. We wish to experience, and help others experience, a journey through design with the outcome being unique, personal and detailed. We bring an educated and thought out approach to an industry in need of the separation from ‘production’. We offer our clients a thorough, professional, educated and more connected experience to home, place and nature through our design process. With 18 years of build experience we are not only theory but also real. We bring that history of trials to the table to enhance the practical and the theoretical turning dreams, ideas, art and place into real buildable spaces. We design and build both new and renovated gardens and will transform your space into a fully functioning outdoor space that can be enjoyed all year round. The Kalamazoo Garden Design Company was established in 2010 by Terry Zywicki having graduated from WMU with a design degree, and from 10 previous years experience with Greenscape Services, Battle Creek and Naylor Landscape, Kalamazoo. The company is based in Kalamazoo and offers a fully integrated design service for your garden from original concept to implementation. Custom Landscape Designer for both residential and commercial projects. 22 years experience. At MeadowGreen Group, we’ve dedicated ourselves to marrying built and natural environments for more than 22 years. Our vision has been and is to create prized & personal places that highlight the natural features of your property or site, while complimenting the architecture of your home or building. MeadowGreen Landscapes provides complete landscape design build services. Founded in 1989, MeadowGreen has remained focused on providing timeless and classic landscape, patio and outdoor living space designs. Our service area extends from St. Joseph to Ludington, Traverse City to Harbor Springs as well as the Greater Grand Rapids area. If you are looking to transform your landscape into your dream space, give us a call at (616) 233-9997 or click the "Contact Me" button to send us a message. We look forward to working with you! Since 1968, the family and team at Landscape Design Services has delivered landscape architecture, construction, and maintenance services at an exceptional level. Our professional Landscape Designers and Licensed Landscape Architects are key in developing creative solutions to fit your lifestyle. We can assist you not only with garden design, but also with design of all the elements on your property to create a seamless solution. Once your home is complete, our Lawn and Landscape Maintenance Team will tailor our services to your needs. We can provide a care free lawn or the feeling that you have your own caretaker. Landscape Design Services is a Bakker Family Business serving the lakeshore and West Michigan since 1968. Landscape contractor, offering landscape designs and landscaping installations for all greater Grand Rapids landscape needs. Our experienced team of skilled professional landscape designers will provide everything from master landscape design plans, to small garden sketches, paver brick patio design services, retaining wall drawings and consultation for do-it-yourselfers. Our goal is to listen to our client’s desires and assist them in thinking about all aspects of their project. 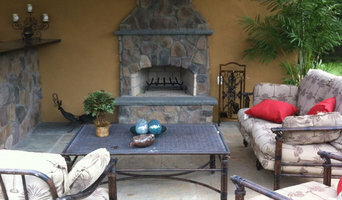 We pride ourselves in offering artistic solutions to fulfill all our clients’ outdoor living space needs. We do installations for homes or businesses, and assist those who wish to install all or portions for themselves. From large projects to small patios or gardens, we give each project the care and attention to detail that we are known for. We are based in the West Michigan area, but have had projects all around the State. Rose Landscape Services strives to bring value and satisfaction to every landscape we get the pleasure to work on. Landscapers in Grand Rapids MI since 1998, we offer complete landscaping services from custom design work, to landscape installation, to the continued care and management of your landscape throughout the seasons. West Michigan landscape design and construction. Creating beautiful, functional outdoor spaces that let you and your family take life outdoors. Rooks Landscaping, founded in 1977 by Tom Rooks, is a full service design, consultation, nursery and maintenance business located in beautiful Ada, Michigan. The work of this outdoor professional includes most everything surrounding a home's exterior. A landscaping architect can even work with the home architect to choose the right spot for your Hamilton, MI house. From there the Hamilton landscaper will develop preliminary concepts for your front or backyard design based on individual needs including the climate and activities that will take place, as well as layouts and planting plans. Landscape architects will also design any structures or outbuildings that will be added to the space. Any grading changes that will be added to the yard are also the responsibility of the architect. This includes any drainage modifications. An engineer can also be responsible for these tasks, but licensed Michigan landscapers are fully capable. Like building architects, they will produce preliminary concept drawings as well as detailed construction documents and planting plans. Three-dimensional renderings and illustrative plans are all supplementary. A Hamilton landscaping designer generally will have ecological, aesthetic and technical training, which helps them maximize the potential of your outdoor space. Keeping in mind both style and functionality, garden designers analyze your architecture and yard to produce a plan that may or may not include location and materials for walkways, patios, water features, fences, garden aspects and more. In addition, a landscaper in Hamilton, MI will carefully assess your geographic region to choose plants, trees and flowers that will flourish naturally, as well as address concerns such as drainage, screening and soil conditions. Certain landscape designers only help with the planning portion, while some may deliver the plans and then oversee a hired landscaping contractor. Others — typically following a design-build approach — take care of both the design and all aspects of the landscape architecture and construction. Before you hire a Michigan professional landscaper, consider the scope and emphasis of your outdoor project. Landscape architects, who typically hold advanced degrees in their field, are trained to develop comprehensive structural plans that include plants, hardscaping, water use, drainage and more. Landscape designers typically specialize in the aesthetic and horticultural, rather than structural, side of yard and garden planning. They might or might not have advanced training. Even within their fields, a garden designer may specialize in hardscape- or vegetation-focused designs. In some cases you might need to hire additional help to get the outdoor space you want. Here are some related professionals and vendors to complement the work of landscape architects & landscape designers: Landscape Contractors, Garden & Landscape Supplies, Tree Services, Gardeners, Lawn Care & Sprinklers, Decks, Patios & Outdoor Enclosures. 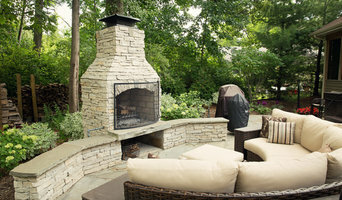 Find a Hamilton landscape architect on Houzz. Narrow your search in the Professionals section of the website to Hamilton, MI landscape architects and designers. You can also look through Hamilton, MI photos to find a space you like, then contact the professional who posted the photo.